A typical day on Mana Island began at 7 a.m. with a group breakfast and devotional. Students then divided into three rotating teams focused on medical work, construction, and teaching or VBS activities. At the end of the day, PUC students organized games or went swimming with local children. Short term missions are often criticized for failing to establish lasting and meaningful relationships with the communities being served. However, part of PUC’s mission philosophy is to reinforce that work through annual returns to established mission sites. 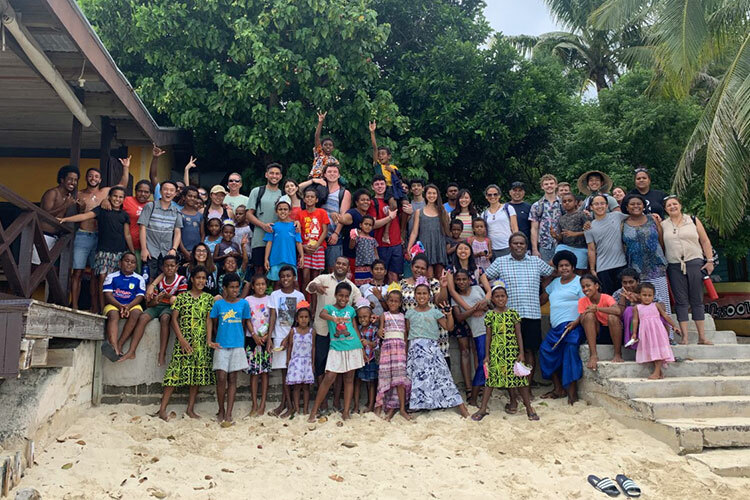 PUC’s ongoing missions presence on Mana Island has sparked the interest of surrounding communities, and has garnered attention from Fijian officials as well. A physician from Fiji’s Ministry of Health visited PUC’s site from the capital city of Suva to discuss potential expansion and interaction in other areas of the island. The group’s work providing medical and dental care to Sheraton hotel employees sparked an interest in providing care for their other employees, as well. PUC has been invited to extend aide to other hotel locations such as in Bora Bora and Tahiti. It should go without saying that Fiji leaves an indelible mark on the hearts of PUC students. For many, one week is all it takes to become hooked on service. Each year, a number of students decide to become student missionaries and spend an entire year serving on Fiji. “We love the experience so much, we’re talking about coming back before the trip even ends,” Nguyen said. Each year, PUC engages in mission trips not only to Fiji, but also to Kenya, Peru, and Brazil. In 2020, the college plans to participate in the General Conference’s Global Youth Day by sending 200 students on mission trips. Those interested in hearing more about opportunities to serve are encouraged to email worldmissions@puc.edu or visit PUC’s world missions website at puc.edu/missions.